Welcome to Niagara, home of the i4C! We are pleased to welcome you, and want to make your stay in Wine Country Ontario as smooth as our Chardonnay. 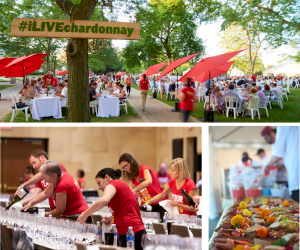 Make note of your favourite Chardonnays during the weekend and stay tuned for an update on how to buy your favs during the i4C event weekend. The days are cooler but the weather is always perfect for Chardonnay. Click on the image to the left to help you explore Ontario’s wine country – in every season.